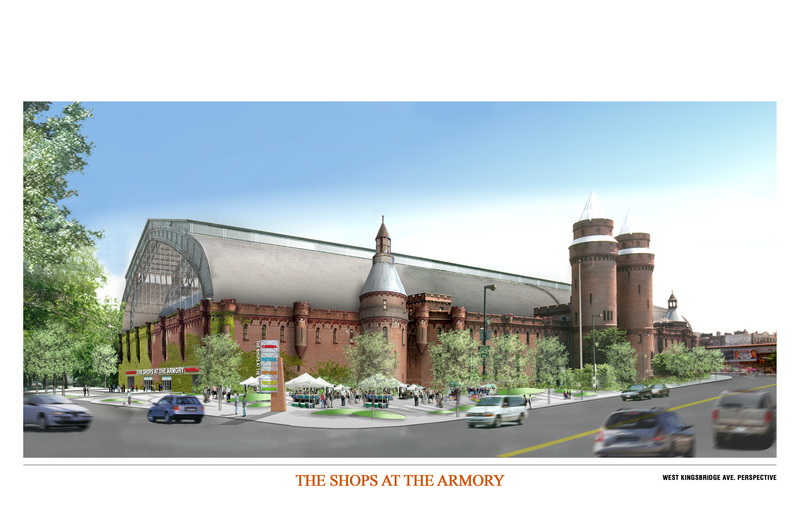 Proposed redevelopment of the Bronx’s Kingsbridge Armory. 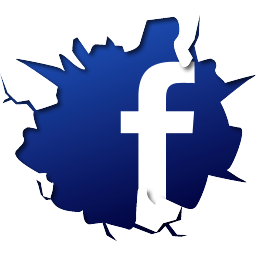 Image: Courtesy of Related Companies. City Planning Commission approved Related Companies’ Kingsbridge Armory plan,with four Commissioners voting against proposal. On October 19, 2009, the City Planning Commission approved Related Companies’ proposal to redevelop the landmarked Kingsbridge Armory in northwest Bronx. The plan is a result of the combined efforts of the EDC and the Kingsbridge Armory Task Force, which was established by the City in 2006 to facilitate the development of the vacant building. Related’s proposal includes building a four-story structure within the armory’s 180,000 sq.ft. drill hall, leaving its landmarked exterior unaltered. Combined with the armory’s three basement levels, this would create seven levels of usable space. The project would provide 500,000 sq.ft. of commercial and retail space, including a movie theater and fitness facility. It would also provide 27,000 sq.ft. of community facility space, 30,000 sq.ft. of public open space, and approximately 400 sub-level accessory parking spaces. Related submitted multiple applications, including a request to change the City Map to create a new street and parkland. The area’s current R6 zoning does not permit commercial uses, and Related requested rezoning the area to a C4-4 district. The Department of Citywide Administrative Services requested approval to dispose of the City-owned armory to EDC, which would then dispose of the property to Related. At the Commission’s hearing, opponents of the project expressed concerns about the project’s impact on the surrounding community. Wilhelm Ronda, Director of Planning for Bronx Borough President Ruben Diaz Jr., stated that Diaz opposed the project, in part, because Related had not agreed to the terms of a proposed community benefits agreement that included “living wage” and local hiring provisions. Avi Kaner, co-owner of the Morton Williams supermarket chain, which has its main store near the armory, spoke in opposition. Kaner testified that if Related followed through with plans to establish a 60,000 sq.ft. supermarket in the armory, its effect on Morton Williams and the other supermarkets in the area would be “catastrophic” and likely lead to job losses. When asked by Commissioner Richard Eaddy about plans to include a supermarket in the armory, attorney Ethan Goodman, representing Related, said that no tenants had been secured for the project and that Related was considering all potential retailers and users. The Commission approved the proposal by a vote of 8-4-1. It noted that the armory has been vacant since 1994 and that the proposed project would provide job opportunities and bring needed goods and services to the neighborhood. It pointed out that the community benefits agreement and “living wage” provisions were beyond the scope of the Commission’s purview. The Commission recognized the concerns expressed about retail competition, but stated that it was inappropriate to restrict supermarket development, noting that recent studies identified areas adjacent to the armory were underserved by supermarkets providing a full range of fresh food products. Commissioners Anna Levin, Shirley McRae, Karen Phillips, and Vice-Chair Kenneth Knuckles voted against the proposal, while Commissioner Maria Del Toro recused herself. Knuckles said he could not support the project because the proposed inclusion of a 60,000 sq.ft. supermarket raised “legitimate questions about fair competition,” and could have a detrimental effect on surrounding businesses. The proposal must still be reviewed by the City Council.